With FOX Soccer Match Pass you can stream over 1,300 live and on-demand soccer, rugby league, and cup games throughout the 2018/19 season! Your subscription renews automatically unless auto-renew is turned off at least 24-hours before the end of the current period. Your iTunes will automatically be charged for subscription renewal at the same price as your original iTunes purchase within 24-hours prior to the end of the current billing period. You can manage your subscription and turn auto-renewal off by visiting your iTunes Account Settings after purchase. 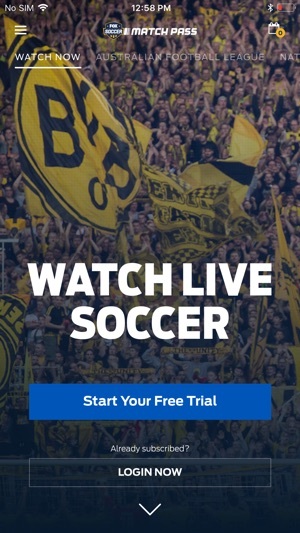 Watch on your favorite screen with just one subscription - phone, tablet, connected TV app, and on web at www.foxsoccermatchpass.com. Cancel anytime. 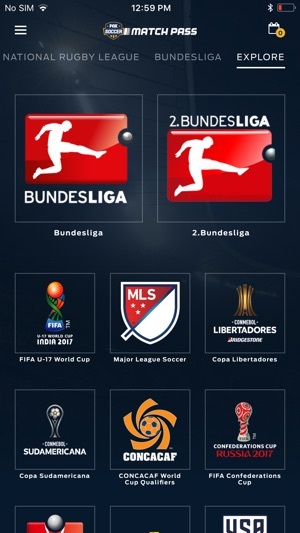 Let’s cut to the heart of the matter: the most meaningful things for the majority of the paying audience who pay for access to this app are the Champions League and Europa League matches that Fox Sports largely have a monopoly on in the United States. It’s bad enough for one company to monopolize something and then put it behind a paywall. If you’re going to do so, however, at least provide a product that is reliable, consistent, and of decent quality. By now, Fox Sports have a very good idea of the size of audience they can expect to tune in for, e.g., a Champions League semifinal match. There is ZERO excuse for a stream that is never in HD, routinely choppy, and prone to the video freezing — only for the audio to continue. If the revenues broadcast rights to Champions League football do not suffice to invest enough funds to make broadcasting it online viable, then perhaps Fox should cut losses and let someone else have a go. The current state of affairs is, at best, an unscrupulous grab for money. 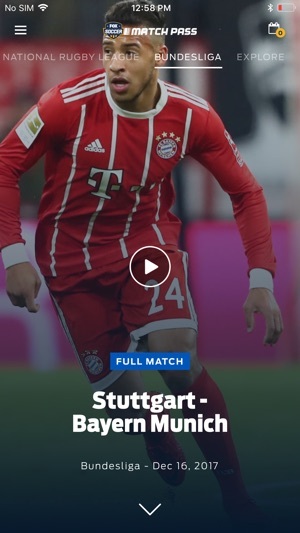 (Original review) Tried streaming the Portugal-Mexico match so as to avoid listening to the awful announcer on FS1, but after a few minutes it lost the connection to Apple TV because the app couldn't find the stream any more. I feel the app has potential, but it needs to be at least as good as the last version, and right now it is not. One star. (ETA) Had better success streaming a game from the beginning, vs. trying to join after the half. Still should work under all circumstances. I do like that this version lets my iPad go to sleep without stopping the stream. I have hope yet. Three stars. Update 24 Sept 17: App still continues to stream when iPad sleeps, but when it wakes (i.e. at halftime) the app refreshes and doesn't seem aware it was doing anything. Have to force-quit app and start over. Two stars. I hope that the folks that manage this App read these reviews and look at our critique as a opportunity to improve. Having said that, I think this App has lots of room for improvement especially given that we are paying a membership fee and it’s not simply a free to use service. 1. Create a watch history and create the ability to resume a match where you left off. 2. Create a search function to search find the match you want using keywords such as team name or a player. 5. Allow the video to continue to play when on Airplay and you leave the App or turn your screen off to conserve battery. I have emailed you about these areas of improvement and I hope that someone reads this review and cares to make these changes as I think it will greatly improve your service and make the experience more enjoyable for those who have paid their money for it! © 2017 FOX Sports Interactive Media, LLC.